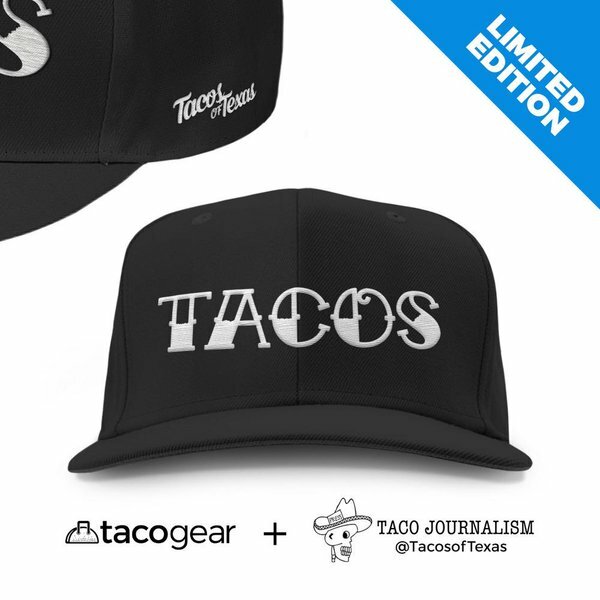 Taco Journalism: Run. Do not walk to El Taquito! Run. Do not walk to El Taquito! El Taquito sits on top of a hill on this vast land of tacos called East Riverside Drive. On many occasions I passed it up to go to another taco shop. No more! I said to myself. On my birthday, WE WILL go to El Taquito. And so we did and I turned 35 (gulp!). El Taquito reminds me of the cafeteria style restaurants in MX City, except these cafeterias really do have good food. The palce is a bit small but cozy. It's fairly new; I don't think it's been open for more than a year. They have a small yet enticing menu. 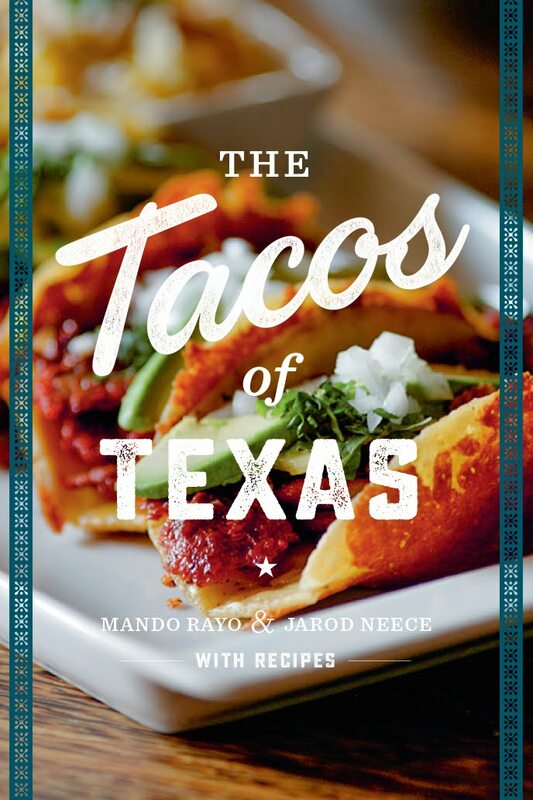 They specailize in tacos (duh) and quesos. The taco menu included the regular items (fajitas, al pastor, carnitas) with a couple of meats you can only get at the flea market or your Tio's carne asada (bbq/cookout). So it was nice to see carne deshebrada and tripitas on the menu. I especially liked the English description of the tripitas - "nicely crisp small intestines." The quesos included a good variety as well; melted cheese on a mini sarten (black iron skillet) with your choice of nopalitos, rajas, al pastor or carne asada. We had the rajas and al pastor. The pictures don't lie. They was good! Since it was my birfday, I went to town on the tacos! I had a taco con carne deshebrada and their Especial, 6 taquitos en mini tortillas de maiz. I mixed it up; had 3 carnitas and 3 carne asada - yeah, I'm crazy like that! The deshebrada was good. 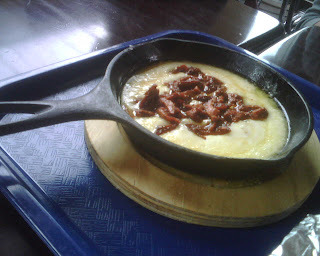 The meat was tender and stringy and it was accomapanied with onions, cilantro & queso blanco (the crumbly one). I topped it off with 4 of their salsas (yeah, remember, I'm crazy!). I'll go more into the salsas later-later. So the Especial was especially good. 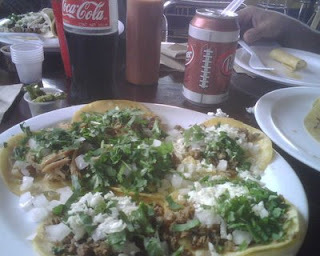 The tortillitas were lightly fried, the meat was fresh and so were the add-ons. Okay, now to my favorite part; the salsas! I always said that if a restaurant/taqueria/puesto/esquina has a good salsa, the peoples will come. And that's so true, well, at least with my salsa eating peoples. El Taquito do know their salsas. 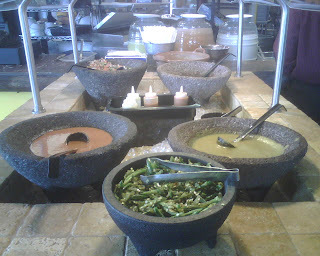 They had 4 salsas and a big ole mocajete full of roasted serranos. So I had to try all of them. They have 2 green (jalapeno and roasted green chiles), one red and one pico, which technically isn't a salsa but whatever, it was all good! They also have enchilada lunch specials, they serve menudo and have fresh aguas and Mexican Cokes. I remember that it was cheap too. Um, yeah, so you should run to El Taquito. I gotta check this place out. Happy birfday, and thanks for the review. I did a little VIDEO Review on the place. I'd love for you to see it! Food? Great stuff. Quality? Off the hook, excellent stuff for the price. But OMf'nG the SERVICE here has much room for improvement. The register lady took four phone orders as she was taking my order & didn't even take my money until after the phone orders were placed and 2 other customers were served their food (15 min lost here). No sense of line efficiency to orders here, but hey, good horchata & agua fresca melon comes at a price, bro. Just chill & be prepared to wait. Or just call in your order...oh wait, there's no online menu or printed to-go-menu to fax or take home after your 25-40 min wait (avg over 4 trips thus far) I'm coming back but not without reading material. My family is so thrilled that El Taquito finally opened it's doors! 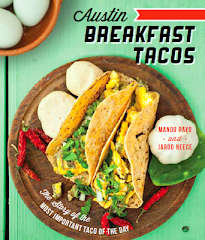 We have been hitting up their taco truck for many moons now! Their barbacoa is perfect! I am not a big salsa person but the green chile is just right for topping off your taco of choice. Even my picky toddlers love the place, what's better that a REAL Quesadilla and a cold Mexican Coke! It's a regular spot for us!